The LivinRoom pelmet was the first ever modern conservatory enhancement product when it was launched by Ultraframe in 2012. It was designed to give modern conservatories a ‘room-like feel’ with a plastered finish and extra insulation around the eaves where heat loss is most prevalent. 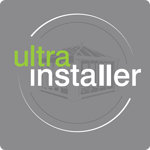 Over recent years Ultraframe have developed an extensive range of conservatory enhancements that can be combined to create a more room like design for conservatories and glazed extensions, so many that using different brand names for each has become impractical. LivinRoom is now simply referred to as our internal insulated pelmet. LivinRoom works with our ever-popular Classic Roof system but goes a step further by including an internal framing system that is plastered – resulting in the creation of a perimeter ceiling that adds an all-important homely touch to the room in which it has been situated. The LivinRoom creates a vital space that is neither a conservatory or an extension. Instead, a hybrid structure is created that brings with it all the light-giving properties of the former while adding a sense of solidity and permanence. The design can be modified to suit your requirements. Once installed, the LivinRoom gives the impression of a flat roof that is crowned by a lantern roof. It can be fitted in different sizes, ranging from 300mm through to 1200mm, which means your choices won’t be limited when you choose this carefully-engineered system. In terms of cost, the LivinRoom is a surprisingly affordable way to enjoy the benefits of a conservatory or extension. Find out more by visiting our Ultra Installer page to locate an expert near you that can answer your questions and provide a guideline quote for your project. The LivinRoom is an incredibly flexible system that will allow you to choose a look and feel for your new room space that meets your design aims – inside and outside. If you want to optimise light entry and make the most of the space you have available, you can choose to have windows throughout your conservatory extension. Do you want to create a sense of permanence and solidity instead? The LivinRoom is compatible with brick piers, which will lend a sense of authority and style to the outside of your new structure and make it feel more like a natural extension of your home. The choice is yours entirely, and your chosen Ultra Installer will be happy to help. The design of every home is different. In anticipation of this variable, we have designed our LivinRoom so that its measurements can be adjusted within a range of 300-1200mm. The adaptability of this system means that you won’t be presented with any obstacles which might otherwise have limited your design options. The LivinRoom doesn’t just look comfortable. It offers superb levels of thermal performance, which means you’ll benefit from a u-value that’s lower than that of a standard conservatory. This means that’s it’s a space that can be used throughout the year. Whether you want to relax in the evening and read a book, or entertain friends long into the night, the LivinRoom help to provide the optimum environment. To further enhance that all-important room like feel, you can opt to have down lighters inserted into the 12.5mm in your LivinRoom’s plasterboard. Speakers can also be incorporated into this system too, which means you’ll be able to turn the lights down low and while away the evening listening to some of your favourite music. The incorporation of spotlights and speakers is made possible by a specially-engineered ladder steelwork frame, which adeptly conceals the wiring – resulting in an uncluttered interior that is pleasing to the eye. We’ve changed the name of our LivinRoom to Insulated Pelmet, but nothing else has changed. You’ll still experience the same range of benefits when you choose this engineered framing system, which will reward you with a range of benefits – including improved comfort and stunning visuals (inside and out). What Is Thermal Performance, and How Does It Affect My House? Learn how to improve your home's thermal performance. 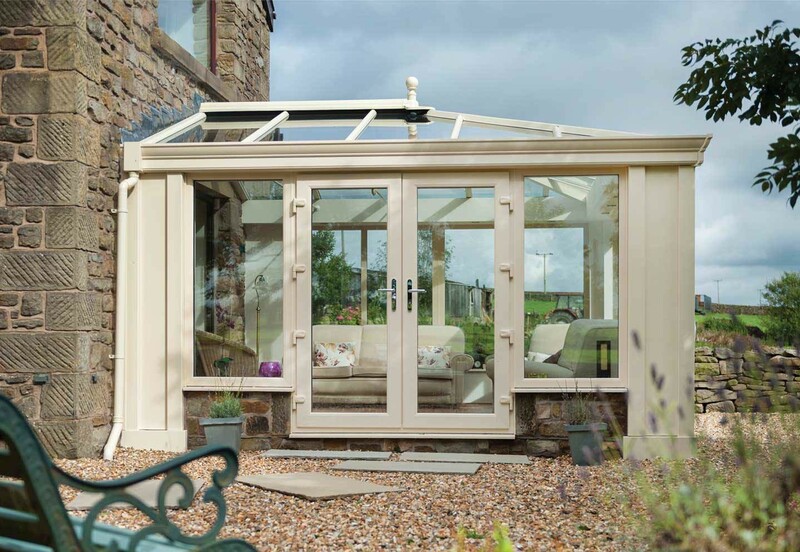 Create a conservatory roof that's colourful and stylish when you choose Ultraframe.